Blizzard has been taking jabs at EA’s Battlefront II in a series of tweets from the official StarCraft Twitter account. Following the community outrage over Star Wars Battlefront II’s controversial progression system, Blizzard decided to sent out some tweets promoting StarCraft II, which became free-to-play as of yesterday. In addition to these tweet, Blizzard also released a new trailer for StarCraft II going free-to-play with a clear message. 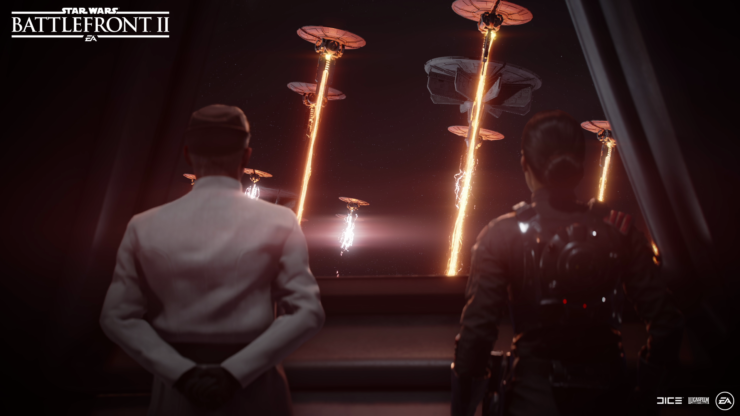 While the tweets and trailer don’t directly mention Star Wars Battlefront II in any way, the reference to the game is quite clear given the recent community backlash. Concerned fans were recently called ‘armchair developers’ by the game’s community manager. Star Wars Battlefront II is slated for a release this Friday on PC, Xbox One, and PlayStation 4. Blizzard announced that StarCraft II would go free-to-play during this year’s BlizzCon event.